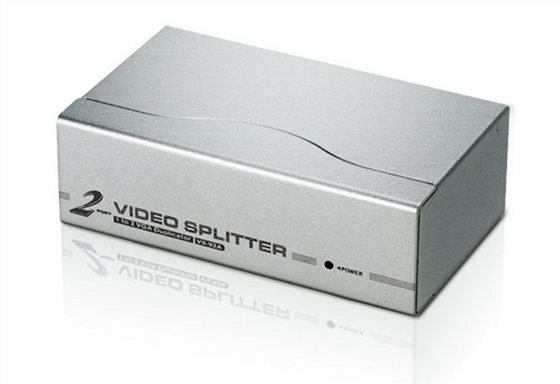 The VS92A Video splitter duplicates and boosts the video signal from one input to 2 outputs.It provides greater bandwidth and video resolution as well as extends the transmission distance up to 210 feet making it excellent for public broadcasting.In addition,units can be cascaded to accommodate as many monitors as the installation requires. Cascadable to 3 levels- provides up to 8 video signals. Supports up to 250 MHz bandwidths.